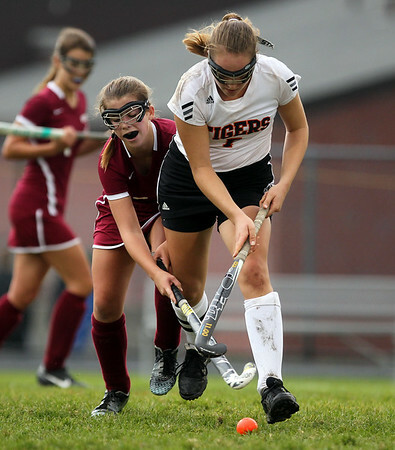 Gloucester sophomore Rachel Alexander (2) manages to tie up Ipswich senior captain Maddi Hill (7) as she tries to bring the ball upfield on Wednesday afternoon in their D2 North first round game. DAVID LE/Staff photo. 10/29/14.